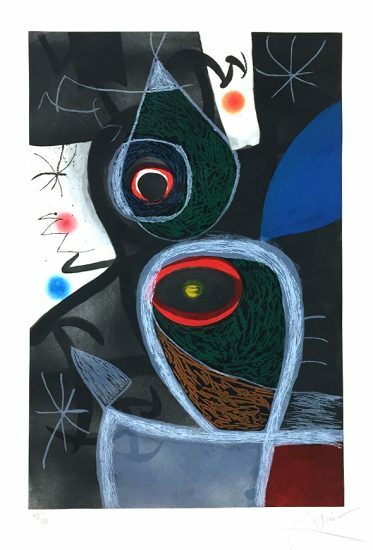 To most art lovers, a painting by Joan Miró is immediately recognizable. It displays botanical, geometric, abstract lines or shapes floating against celestial blue, sandy yellow or earth brown backgrounds. It also probably exudes a mystical, childlike yet reassuring dreamy quality, which is in fascinating juxtaposition to his personality. 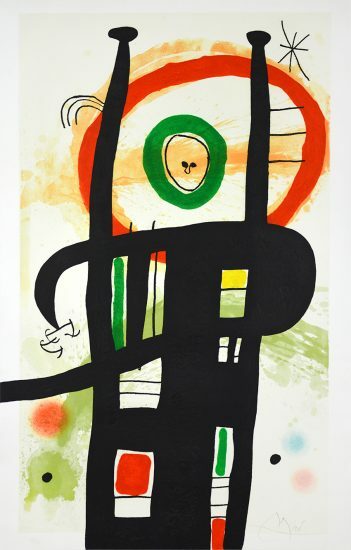 A highly disciplined, hard working man, Miró spoke little and looked like the perfect bourgeois. Orderly, reliable and punctilious, he was astonishingly versatile, willing to try almost anything. Nothing of him had any touch of the free spirited bohemian that he exhibited in his works and perhaps this is why he had a restless temperament which showed through in his constantly changing art. 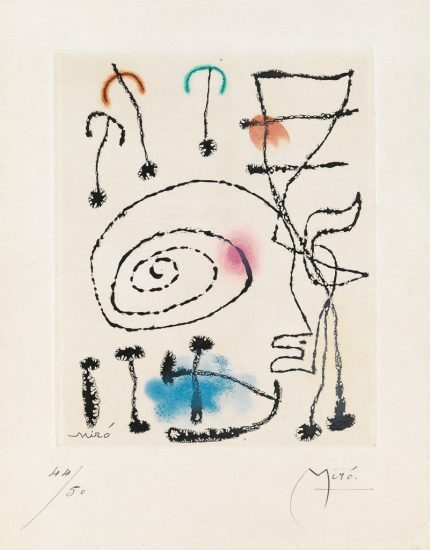 Surrealism, Miró discovered, had limitations. He was ready for a radical change in art, but realized that he would have to create it himself. 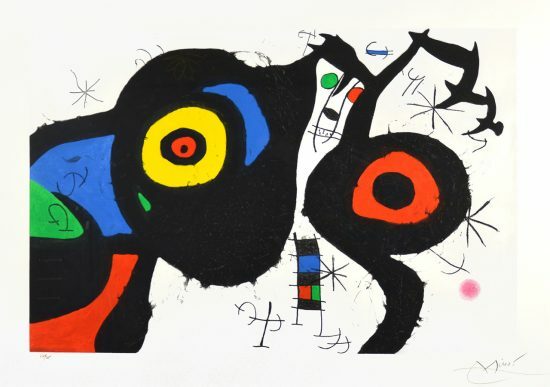 With the famous words, “I want to assassinate painting,” Miró did just that by taking the elements out of his art and stuck to the essentials. Whether he used a limited color palate, sparse geometric designs, or different material, he deified the essence of painting being on a canvas. 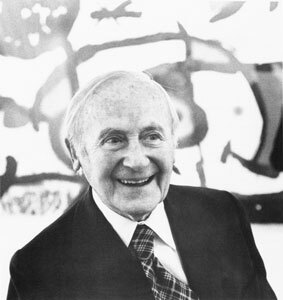 An interesting contrast to his disciplined lifestyle, but by the end of his long life, Miró had succeded in doing just that. 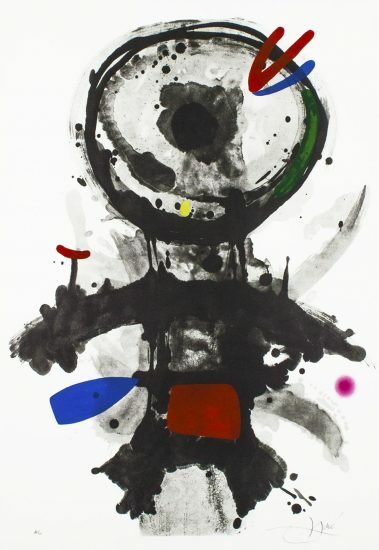 He executed paintings and sculptures that prefigured Abstract Expressionism, Pop Art, Color Field painting, process art, appropriation, and even conceptualism. 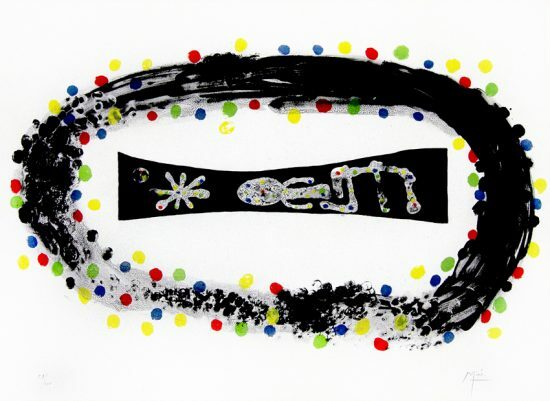 He “assassinated painting”, and left us with art that is rich is context, color, and playfulness. 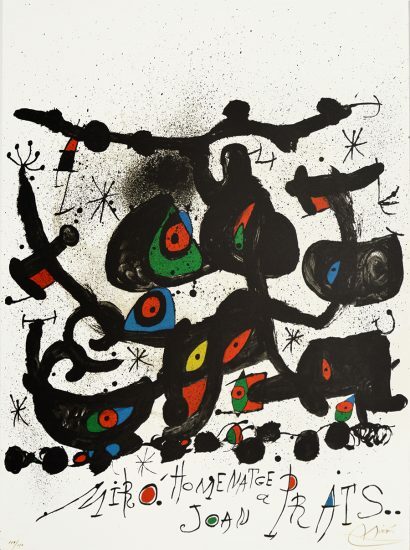 Here are some examples of contemporary artists attempting similar styles of miro prints.